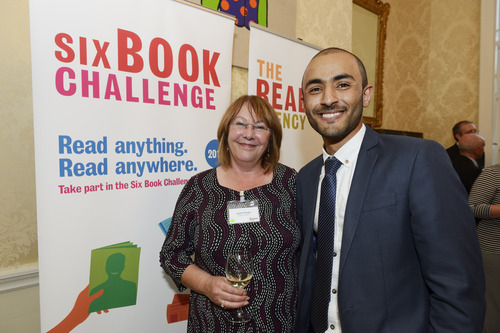 We’re delighted that Mohamed Mahyoub, who completed the Six Book Challenge (now called Reading Ahead) when he was at Priestley College a few years ago, has been made Young Adult Learner of the Year in the 2015 Adult Learners’ Week Awards by NIACE. Mohamed didn’t speak any English when he arrived in Warrington from Yemen when he was 14. Less than ten years later, he is running his own business, studying for a PhD and helping young people in his community.